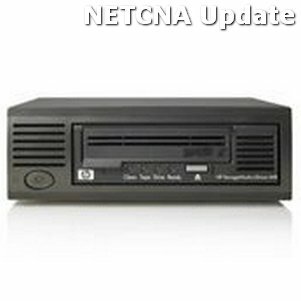 The HPE StorageWorks Ultrium 448 tape drive represents HPs second generation of half-height LTO tape drive technology. As the highest capacity highest performance half-height drive in the StorageWorks family the Ultrium 448 delivers a compressed storage capacity of 400 GB per data cartridge using LTO 2 media as well as a compressed data transfer rate of 172 GB per hour more than three times as fast as the Ultrium 215 tape drive. The Ultrium 448 Tape Drive is fully read and write compatible with all first and second-generation Ultrium drives and media. These features combined with low pricing make the Ultrium 448 the ideal direct-attach and network backup solution for entry-level and midrange servers where capacity and low cost of ownership are critical. The HPE StorageWorks Ultrium 448 tape drive represents HPs second generation of half-height LTO tape drive technology. As the highest capacity highest performance half-height drive in the StorageWorks family the Ultrium 448 delivers a compressed storage capacity of 400 GB per data cartridge using LTO 2 media as well as a compressed data transfer rate of 172 GB per hour more than three times as fast as the Ultrium 215 tape drive. The Ultrium 448 Tape Drive is fully read and write compatible with all first and second-generation Ultrium drives and media. These features combined with low pricing make the Ultrium 448 the ideal direct-attach and network backup solution for entry-level and midrange servers where capacity and low cost of ownership are critical.